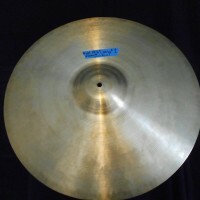 This cymbal is part of the Elvin Jones Collection at Donn’s Drum Vault. 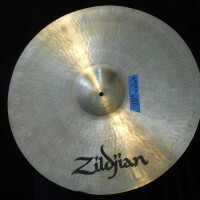 The custom made 20″ A Zildjian cymbal is one of only a handful of A Zildjian cymbals Elvin ever used. 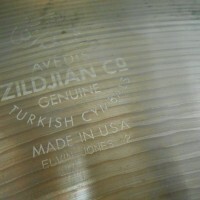 “Elvin Jones-2” is laser etched on the cymbal directly below the etched Zildjian cymbal indicating this was a cymbal made exclusively for Elvin Jones. 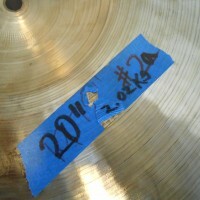 The cymbal shows minor signs of handling and wear but is in excellent condition. 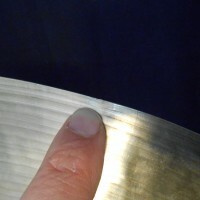 There is an extremely minor “flea bite” in the edge of the cymbal (see photo). 2020 grams. COA signed by Elvin’s wife and seller. See and hear the cymbal in the demo below. This cymbal is seen on the right in the video and the second cymbal played.